Dwayne Johnson aka The Rock is one of the names that dominated the WWE universe for years and is dominating the movie industry currently, however with the moniker Dwayne Johnson. 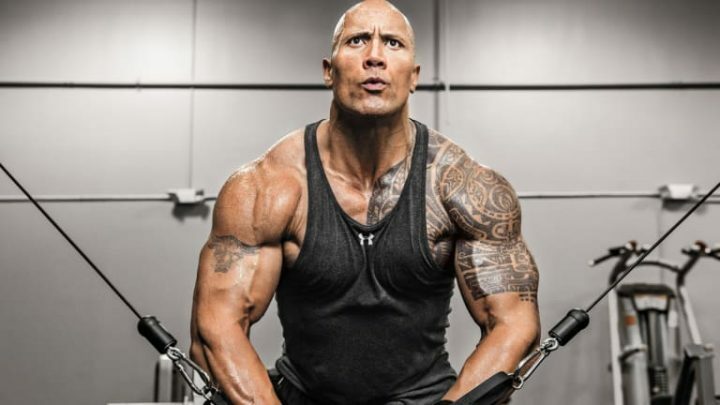 The Rock has featured in a couple of Hollywood blockbusters such as, Fast and furious, The Scorpion King, Snitch, Race to witch mountain; He is one of those Actors that are with too much muscle. With this uprising of technology among various sectors that facilitates in the nation’s economy, Celebrities are beginning to tap into the future as surely; tech is the future. We have heard about Kim K’s Android App that is getting thousands of downloads on the play store, then Snoop creating a website,and even more who in either way make use of a Web Application or Android App to compliment their careers and as it stands, Dwayne Rock just joined the list of Celebrities using Technology in Entertainment. Reports have it that the popular Hollywood actor (Dwayne Johnson) does have an alarm clock which he titled “The Rock Clock” and surely is a smart one that can also help his fans in becoming smart as well. The clock unlike your average alarm clock will be coming with no snooze button. Actually, the development of this app was followed by things The Rock does. SO just in case, you have ever wanted to know how these celebrities run their day to day activities, I think The Rock just gave us a glimpse. The Rock clock also replaces the usual collection of alarm sounds for Dwayne Johnson’s personally recorded alarm tones, so you can actually wake up to The Rock’s voice whispering wakey wakey or yelling wake up; it’s your pick. There is also ‘The Rock time’ that syncs your alarm time with that of The Rock, who by the way wakes up by 4:15 am. In Addition to what the Rock has packaged in stock for his fans, you can also get funny and motivational videos of The Rock through this App. To be sincere, this is the coolest initiative I have seen from a celebrity lately, and I think The Rock deserves a big thumbs up for that. You can download the “The Rock Clock” by checking out the link on the Google play store. 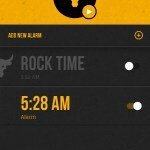 What do you think about “The Rock Clock” Android app? Share your thoughts with us in the comments section below.